We looked at the top 1 Weather Stations and dug through the reviews from 5 of the most popular review sites including New York Times Wirecutter, BestReviews, TechHive, WX Observation, Weather Station Reviews and more. Through this analysis, we've determined the best Weather Station you should buy. In our analysis of 34 expert reviews, the AcuRite AcuRite 01512 Wireless Weather Station with 5-in-1 Weather Sensor placed 7th when we looked at the top 7 products in the category. For the full ranking, see below. 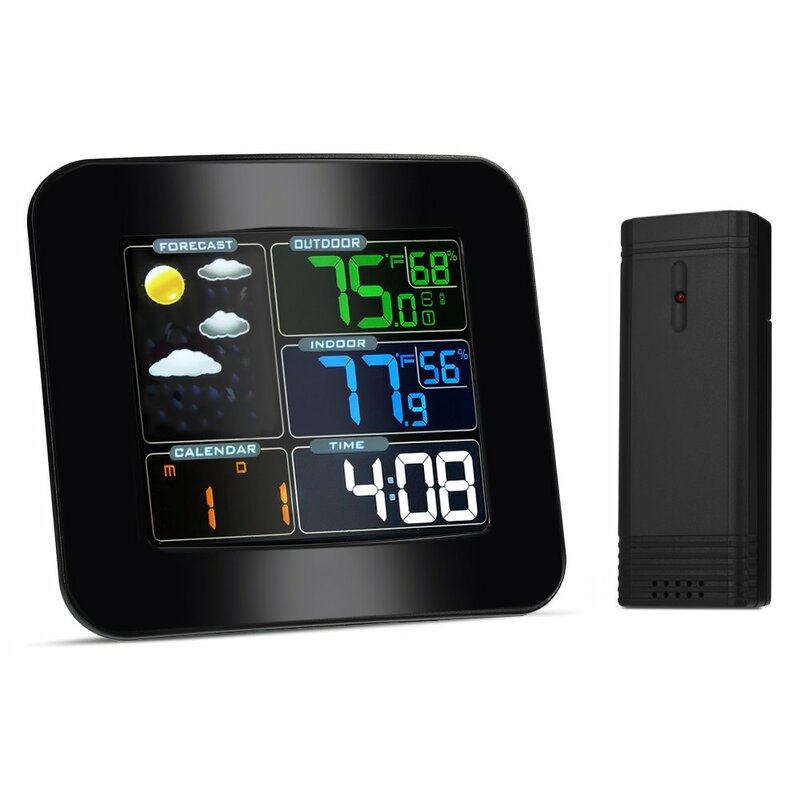 Checkout The Best Weather Station for a detailed review of all the top weather stations. One sensor provides 5 types of info. Connects to weather websites via app or browser. AcuRite’s Atlas packs a ton of features into its home weather station, which reports highly accurate results when installed according to best practices. The AcuRite 01512 pro color weather station is very basic. It does have a nice color screen included and is an easy to install AcuRite 5 in 1 sensor. The 5-in-one wireless outdoor sensor allows easy setup that saves a lot of time and labor. Challenging set up. Monitor not in full color. There are no extra bells and whistles with this household weather station model. There is no internet connection or solar powered capabilities out of the box. It’s not as accurate or fast as some of the higher-end units. The most important limitation of this weather station is that it doesn’t allow direct connection to the personal computer and it is not compatible for internet connectivity or sharing and posting of live data via the internet. The AcuRite Pro 5-in-1 Weather Station reports your current weather conditions, including indoor and outdoor temperature, humidity, barometric pressure, wind speed, wind direction and rainfall, all visible on a vivid color display. The Weather Ticker streams real-time information including the moon phase, indoor comfort level, "feels like" temperature and more.